Since Flexitricity is both a DSR aggregator and an energy supplier, we’re able to evaluate opportunities from all sides and optimise your revenue. 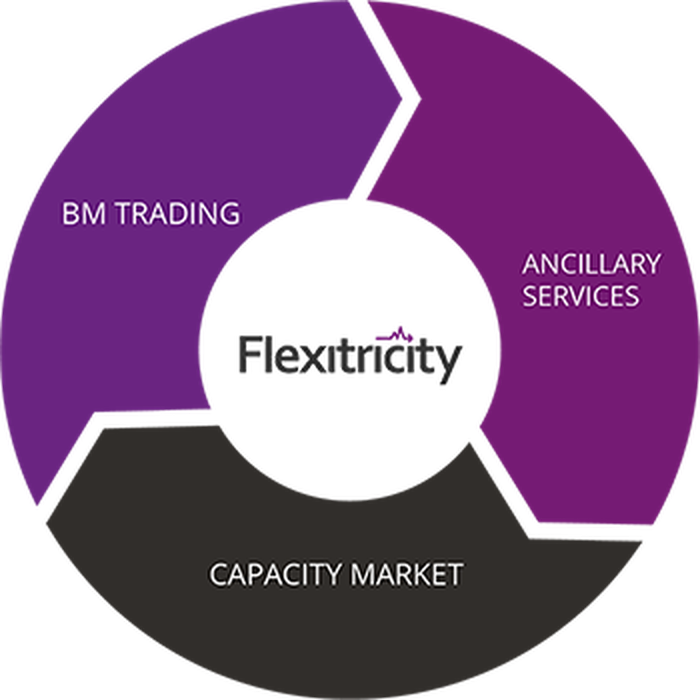 Flexitricity will integrate energy trading with participation in ancillary and capacity services. Each customer site is recommended a bespoke package of services in order to optimise value from their available assets. Flexitricity+ is another piece of the puzzle and helps us build an ideal revenue stack for each customer. Just as in ecosystems, diversity is the key to resilience. For certain types of assets, during certain periods, it might make more sense to commit to delivering, for example, frequency response. At other times it might make more sense to trade your flexibility into the BM. Flexitricity monitors the markets and your sites continuously from our 24/7 control room to pinpoint the best opportunities at the time. Should the revenue opportunities shift, we’re ready to shift with them.